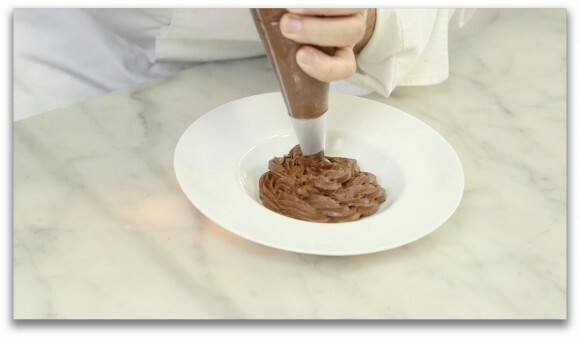 Melt the chocolate and the butter in a bain-marie over low heat. In a separate pot, boil the sugar and the water to make a syrup, about 4 to 6 minutes. In a bowl, whisk the eggs, then add the syrup, continuing to whisk until the bowl is no longer warm to the touch. Whisk the chocolate mixture into the egg mixture. Fold in the whipped cream, until color is uniform.